Good food, wine, and apples are what you will discover on a visit to Julian California, a town nestled in the Cuyamaca Mountains about an hour northeast of San Diego. When visiting Julian think Old West meets apple orchards with a little wine thrown into the mix. The town dates back to the 1870s during the Gold Rush when cattleman, Fred Coleman found gold in a nearby creek. The Gold Rush came and went, but Julian was the only town that experienced gold fever in San Diego County. Soon after apples were planted and Julian apples became so popular that in 1907 the area was awarded the Bronze Wilder Medal from the American Pomological Society. If you love apple pie, Julian is the place to go for a delicious slice. Bakeries abound in and around Julie. For myself, it was discovering sparkling apple wine. For many visiting Julian California, it is a stopover for a day trip to the Anza Borrego Desert State Park. Although Julian has several wineries, the town’s location is close to two southern California wine regions, Temecula and Ramona Valley. My visit to Julian took me to Volcan Mountain Winery and lunch at Jeremy on the Hill. 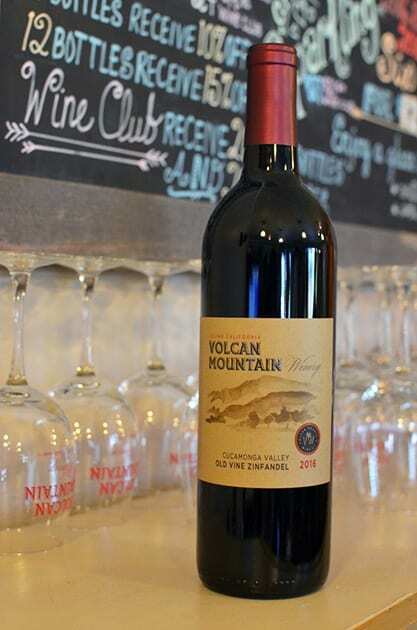 Situated about two miles from the of the town of Julian and with the Volcan Mountain as a backdrop Volcan Mountain Winery represents the second winery of the Hart family, who started one of the first wineries in Temecula. Jim Hart the winemaker/owner and with his brother Mike are the heart of Volcan Mountain Winery. They purchased the winey, its existing vines and the 100-year-old orchard about three years ago. The vineyards are planted with Pinot Grigio and Pinot Noir. The Hart’s source fruit for their other wines in their portfolio. The orchard consists of 20 varieties of apples. One cannot miss trying the Pomme D’Amour Sparkling Apple Wine 2016 that utilizes 18 varieties of apples and produced like a wine using the Charmat method. I found a wine that is very refreshing especially on a hot summer day. It makes an excellent wine to serve with appetizers because of its subtle demeanor. You would not know it was made with apples. 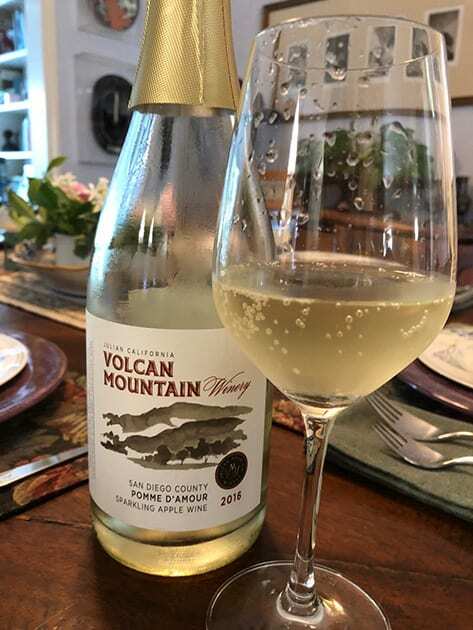 This sparkling wine was one of my favorites from Volcan Mountain Winery. 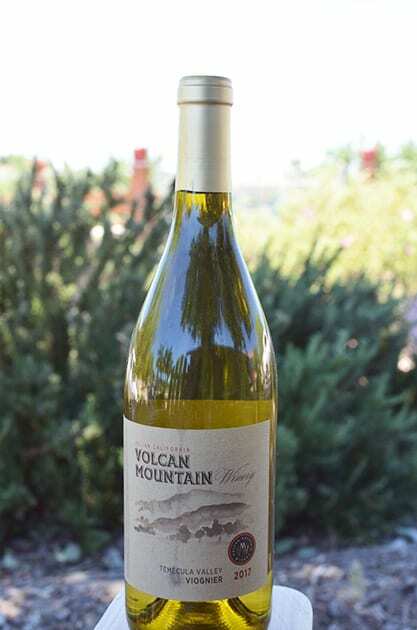 Other favorites from Volcan Mountain were the 2017 Viognier, an unoaked with flavors of honeysuckle and stone fruit and the 2017 Chardonnay, which although it uses sourced grapes exhibited flavors of apples especially both green and delicious apples. 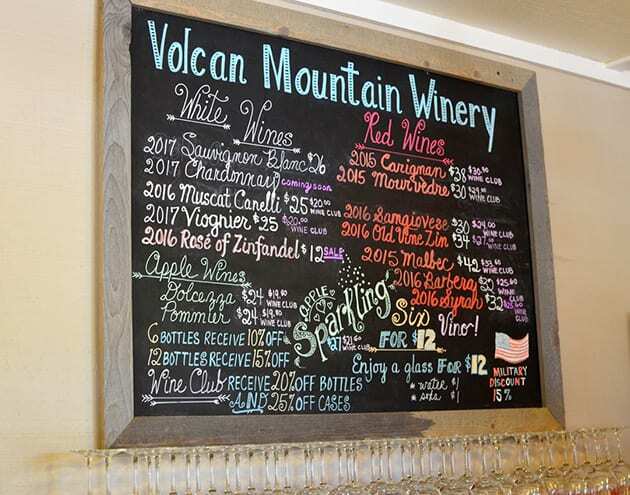 In the reds, my favorites included the 2016 Barbera, the 2016 Old Vine Zinfandel with an underlying sweetness, which makes the wine very drinkable and the smoky quality 2015 Mouvédre. 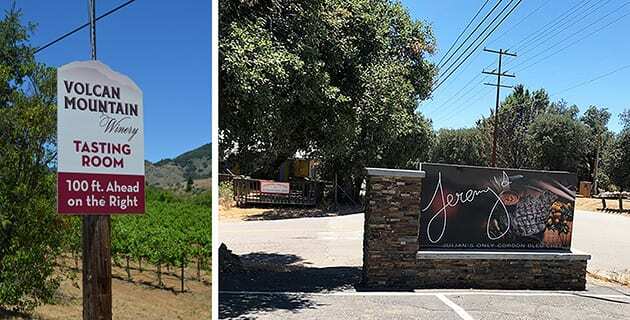 Jeremy on the Hill is considered the top dining establishment in Julian. The restaurant features California Cuisine using fresh local produce and food. Jeremy on the Hill welcomes you with its country home décor. We visited the restaurant for lunch. One must try the Brussels Sprouts that being a Julian restaurant includes apples. While my friends tried the Braised Pulled Pork Sandwich, I had the Salmon Salad with organic greens, avocado mouse, quinoa, parmesan cheese and red pepper with a lemon basil vinaigrette. A visit to Julian California must include a stop at one of the many bakeries, and of course, your purchase requires something with apples in it. We stopped in the California Mountain Bakery but were also recommended to stop in at Dudley’s Bakery. 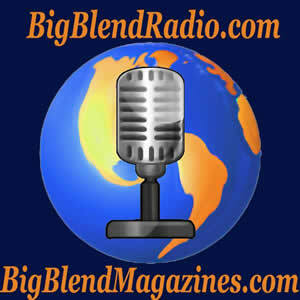 Note: Common to the wine industry, this writer was hosted to some of the wines sampled. While it has not influenced this review, the writer believes in full disclosure.